Sure, there’s a bunch of other solutions, but why not try these home remedies for roaches first. You probably have some of these ingredients, so it’s worth a try. If you don’t, they’re reasonably cheap and easy to find. I’ll have to be honest up front and say that while I love home remedies, there’s just no beating proven roach killers like Advion Roach Baits. Here’s a very detailed review of why I recommend it so much. Dried bay leaves are easy to use because you can either set them in a small bowl or just set them in appropriate locations. 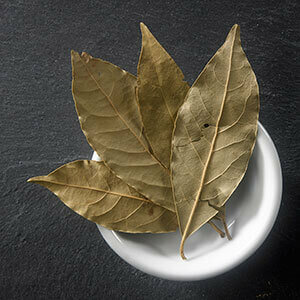 We love cooking with bay leaves for its fragrance, but roaches can’t stand the smell. We can exploit this fact to drive them out and keep them away. All you have to do is place the leaves around their nests, high-traffic areas, and possible entry points. You can use fresh leaves or dry leaves. Crushing dry leaves into a powder releases a much stronger smell. If you use bay leaves, don’t make the mistake of buying it from your local spice aisle. Buy bay leaves in bulk online to save money. Personally, I prefer to keep my bay leaves for cooking. For a natural repellent, I like to keep it simple and use the all-natural repellent pouches from Eco-Defense. Another cooking ingredient we can use is garlic. Just like bay leaves, cockroaches can’t stand the smell of garlic. You can lay out fresh cloves or use garlic powder. Find the powder for cheap at your local dollar store. I love garlic in my food, but if I had to smell it all the time, it would drive me nuts. Plus if you opt for the powder, it can get messy. If you’d like the repelling power of garlic, but don’t want to deal with the smell or the mess, try ultrasonic roach repellers. Catnip is also an excellent natural repellent (according to some). I’ve never tried it myself, but I felt it should be included here for the sake of thoroughness. It’s believed the natural chemicals in catnip repel roaches. You can use fresh or dried. You can also soak the leaves in hot water to make a tea. Pour the liquid into a spray bottle and spray it in appropriate locations to keep those roaches away. 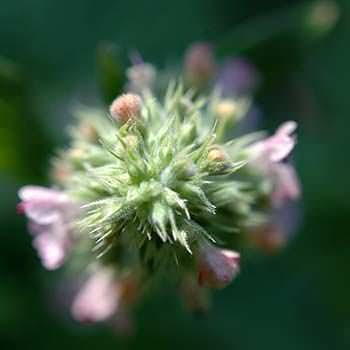 I’m sure catnip would work in some scenarios, but I would recommend electronic repellent instead if you’re trying to avoid harsh chemicals. Mint (fresh leaves and essential oil) is a popular option for keeping pests away. The leaves are used the same way as bay leaves. The essential oil can be mixed with water to make a repellant spray. If can get the flowers, then you can make your own all-natural pyrethrum home remedy for roaches. Unlike the other sprays I’ve talked about, this stuff doesn’t repel them. It’s the most lethal of home remedies for killing cockroaches listed here. It’s one of the few home remedies to get rid of roaches fast. Once contact is made, they will die within minutes. I’ve already previously gone into details about creating your spray in my other post so check that out. If you don’t have access to the flower to make your spray, the Eco-Defense Roach Spray is a good, natural alternative. This DIY spray is good for killing roaches on the spot as you see them. Now if you read my other post then you would know that this stuff degrades fast once it’s exposed to sunlight or oxygen. So if you spray it, it would only last a couple of hours before you would have to reapply it. 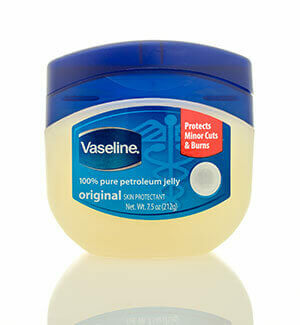 Vaseline (aka petroleum jelly) has many uses including dealing with roaches. If you have spare petroleum jelly laying around the house (who doesn’t? ), you can use it to deal with those pesky invaders. Using petroleum jelly to kill roaches is easy. You just open a jar with bait in the center to lure the bugs in. Upon entering and stepping in the jelly, it’s going to be quite difficult for them to step out. So basically the roaches get stuck in jelly and die. If you don’t feel like using the whole jar, just take a small piece of cardboard and spread a liberal amount on it. Then put bait in the center and place them in places where you see a lot of cockroaches. Petroleum jelly is great for a home remedy, but I find it a hassle and not very practical to use in large quantities (which is critical when dealing with roaches). I’d instead stick to the pre-baited glue traps by Catchmaster instead. Not only are they easier to use, the peanut butter scent they’re pre-baited with lets you skip the extra work of having to bait the traps. Since we’re on the topic of traps, let’s talk about using ice cream to make a trap. Let’s say you had a gallon of ice cream in the freezer that you forgot about. It has probably been sitting there for months and chances are you don’t want to eat it anymore. You could just throw it away, or you could use the old bucket of ice cream as a cockroach trap. Let the bucket sit out near likely nesting areas, or in the middle of where they frequently run through. The sugar in the ice cream will attract them to come eat it. By this time, the ice cream should have melted into a slush. Just like with the petroleum jelly, once they step in, they can’t step out. Come back in a few days to find a bunch of dead roaches. If you don’t have old ice cream for this trap, don’t bother buying some. That money is better off buying a case of cheap glue traps instead. Using soapy water to kill cockroaches is also a popular option. The idea is that the soap will surround the cockroach and prevent it from breathing; it suffocates them to death. I’m sure you have some dish detergent laying around. All you have to do is mix a little soap with warm water in a spray bottle. Give it a good shake and spray the roaches as you see them. If you like to use borax to boost your laundry detergent, then you’ve already got one of the best home remedies to kill roaches. There’s a bunch of ways to use borax to kill roaches, but I’m going to talk about using it to make a roach bait. Mix borax, flour, and sugar in equal parts with a little water. You want to be able to form it into a dough. Form the dough into small pieces. Then just lay them out and wait for the roaches. Alternatively, you can use boric acid instead if you can’t find borax. Be sure to read this post first if you’re going to use boric acid. Let the cockroaches eat the bait. Let them take some back to the nest for the others. Once they eat it, death is all that awaits them. Don’t want to deal with the mess and hassle of mixing borax and other ingredients? Use Harris Roach Tablets. Just toss the tablets in appropriate places (out of reach of children and pets, of course) and wait to see their numbers drop. If borax sounds like it might work for you, don’t forget to check out boric acid and see why I think it’s one of the very best ways to to eliminate roaches from any home. If you don’t have borax, you can use baking soda instead. However, you don’t want to mix it with water. You have to keep it dry. You also won’t need flour. Mix one part baking soda with one part sugar. The sugar will attract the roaches, and the baking soda will kill them once ingested. What happens is once ingested, the baking soda mixes with the stomach acids and it releases carbon dioxide has rapidly. The rapid release of carbon dioxide destroy their internal organs; resulting in death. These are just 10 of the many home remedies for cockroaches. One important thing to keep in mind is to keep trying different remedies and methods until you find one that works. Some cockroaches may be more resistant to a particular treatment. If you see that one solution isn’t working, try a different one. If you don’t want to play the guessing game and you just want to go straight to what will undoubtedly kill them then use Advion Roach Bait Gel.